LA Galaxy striker Zlatan Ibrahimovic says the English Premier League is the most overrated league in top European competitions. The Swede spent about one and a half season at Manchester United and won an Europa League and one EFL Cup during his first season at Old Trafford. He scored 17 goals in 28 appearances for the Red Devils during his first season at the club, but injury stopped him from reigning in the second season at the club. And for someone, who has played in Spain, Italy, France, Netherlands and then England before moving into the US, he seems to be in a good position to make such statement. The former Barcelona, PSG, Inter Milan and Ajax star insisted that the quality of football in the EPL is over-rated. "It was exactly like I thought it was," Ibrahimovic told the Mirror. "It was very hyped, it was very intense, the pace was very high, it was good but the quality is a bit over-rated. "Over-rated from a technical point of view. But it is high pace and intense and if you cannot handle those two things, you cannot survive. "I don’t regret not having longer in the Premier League. I think everything that happens was meant to happen. "The only thing is imagine if I came ten years before I came. "It would be a different story. But I am more sorry for the fans for not coming earlier because they would have seen a different animal." Ibrahimovic revealed he could have made the move to England in 2011 after falling out of favour at Barcelona, but decided to return to Italy with AC Milan rather than join Manchester City. "I had the chance to go to City when I was at Barcelona but after that moment in Barcelona, I needed to find happiness," Ibrahimovic added. "Going back to Italy, I was happy in Italy and I knew I would be happy if I go back and I didn't know if I would be happy if I go to City because it's a different challenge. "It would have been a new club, which Milan also was. "But I knew the city because I had three years at Inter, I knew the country, so I took a little bit of a safe card." Legit.ng earlier reported that AC Milan could complete the re-signing of former Manchester United star Zlatan Ibrahimovic in January. The latest development will be a bad news for Manchester United manager Jose Mourinho who is said to be considering bringing the Swede back to Old Trafford in January. 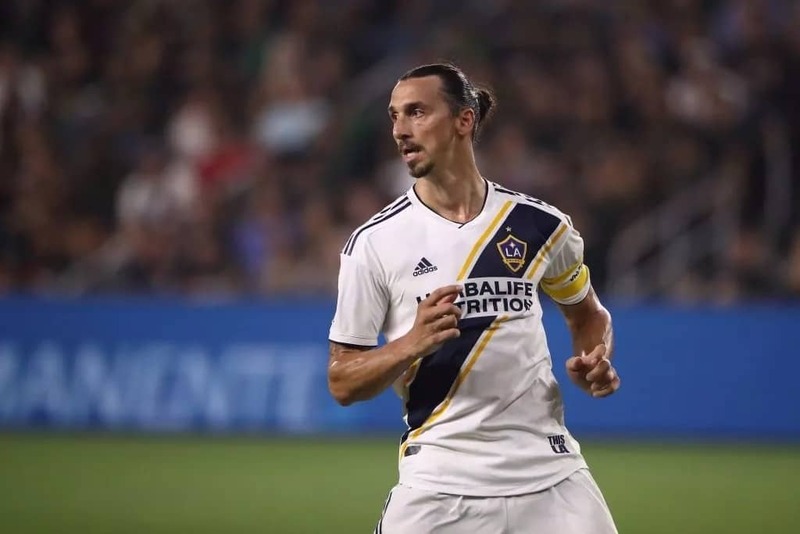 Zlatan is eyeing a return to Europe after failing to push American club LA Galaxy into the MLS Cup finals.